PAX Prime Awesomeness: Panels, Concerts, and More!!! You may have noticed me post about it on social media before, but I’m pleased to announce that I’ll be on a panel at PAX Prime at the end of the month! The panel is called “Tales from Game Audio” and features four of my awesome game audio friends: Ryan Ike (Gunpoint, Frog Fractions 2), Alyssa Menes (Hiveswap, Blackwell Epiphany), Matthew Marteinsson (Don’t Starve, Mark of the Ninja), and Gordon McGladdery (Rogue Legacy, Duelyst). Expect some in-depth discussion of the trials and tribulations of game audio production from a range of perspectives, mixed in with cat pictures and serious discussion about the best techniques to use whilst writing a scherzo at 3am in your underwear. In other words, fun for the whole family! Second on our lineup for PAX attendees (or Seattle visitors/natives), I’ll be playing in a concert Sunday night (August 30th) for (and featuring the other musicians of) STARR MAZER!!! It’s a bang-up lineup featuring a ton of artists I’m humbled to be playing alongside, including Manami Matsumae (yes, Mega Man’s Matsumae! ), Alex Mauer (Starr Mazer’s lead composer! ), Arcade High, Bright Primate, Makeup and Vanity Set, and nickelPUNK! 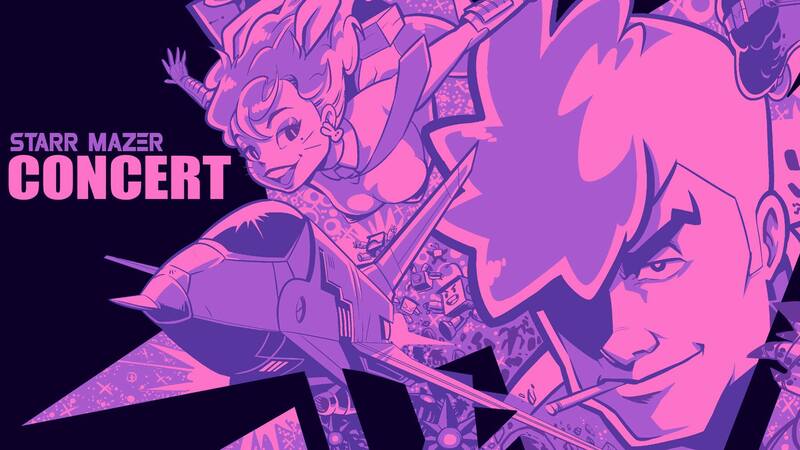 For my own set, I’ll be teaming up with Gunpoint co-conspirator Ryan Ike to bring you an array of indie game track covers, nonsense we’ve written, and Starr Mazer remixes, so don’t miss it! The concert is at Seattle’s own Chop Suey, at 1325 E Madison St, Seattle, Washington 98122, and tickets are $10 pre-order/$12 at the door, and can be ordered HERE. ← Top Score Interview, The Ballad of Westerado, Dad by the Sword, and more!